Save your money when it comes to crabgrass treatment. Hot, wet weather brings an explosion of crabgrass, says University of Missouri Extension turf specialist Brad Fresenburg. There is little you can do to treat it when it reaches the current tiller stage. The good news is that the warm-season annual dies when the first hard frost hits, Fresenburg says. Instead of spraying crabgrass now, apply a pre-emergent herbicide to prevent crabgrass next spring. This year’s plants produce seed heads. New seedlings will emerge where last year’s plants were. Early April is a good time to apply a pre-emergent herbicide. 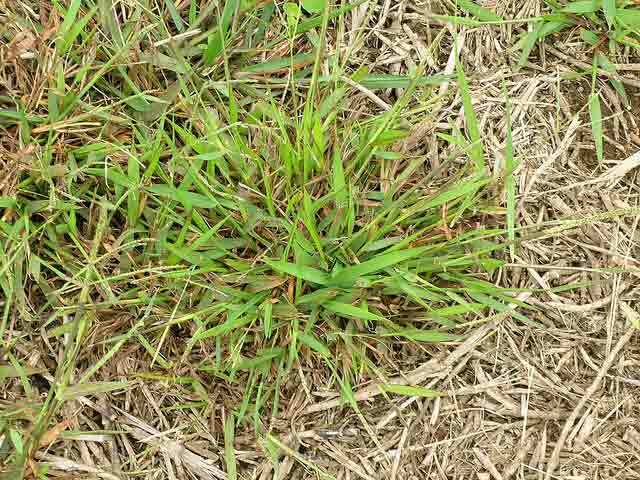 Crabgrass usually appears in late April to early May.